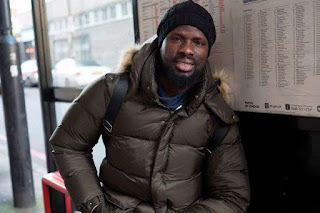 Emmanuel Eboue has revealed how the tragic death of his former team mate haunted him for two years. Steve Gohouri who played for Wigan 7 years ago body was recovered from Germany's river Rhein in January after a battle with depression. He was just 34. "We played together for the Ivory Coast national team many years ago," he told the Mirror Online. "He was depressed a lot. He killed himself." "I did everything with him. He was playing for Wigan in England. Then he went to Germany. Then he went down into the leagues below." "One day he couldn't take it. He got into his car and drove into the seas. They looked for him for one week before they found him." "I pray everyday. I want God to help me. To help me to take it out of my head. I don't want to think about suicidal thoughts." Eboue also revealed how going broke has led him to the brink of suicide. The Premier League star used to make millions but now he sleeps on his friend's floor, washing his clothes by hand and hiding from bailiffs. In an interview Eboue told how he lost a divorce battle that left his wife Aurelie with all of their assets and how he has no contact with his daughters Clara, 14 and Maeva, 12. He said: "Every day I wash myjeans, my clothes, everything. My hands are hard. As though I have been working on a farm. "Sometimes I shut off the lights because I don't want people to know that I am inside. I put everything behind the door. "I am in the house but I am scared. Because I don't know when the police will come." "I look back and say 'Emmanuel, you have been naive... why didn't you think about that before?' It is hard. "The money I earned, I sent it to my wife for our children. "In turkey I earned 8 million euros. I sent 7 million back home. Whatever she tells me to sign, I sign."